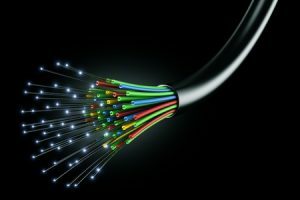 AT&T recently announced that they are rolling out fiber in two additional markets and disclosed that the total number of AT&T Fiber subscribers is approaching 2 million. AT&T Fiber has expanded across 60 communities in their current footprint and now reaches 5.5 million locations across 57 metros. The two new markets include Biloxi-Gulfport, Miss. and Savannah, Ga. If this expansion trend continues, AT&T may have a chance to surpass Verizon as the lead U.S FTTP provider. Verizon is currently serving 5.7 million Fios subscribers. AT&T says they are on track to reach 7 million locations with AT&T Fiber by the end of 2017. Part of the reason for this expansion is a result of a condition set as part of their acquisition of DIRECTV. The FCC mandated that they reach a total of 12.5 million locations with FTTP. AT&T plans to expand to 67 cities and says that they will achieve that number by 2019. Regardless of mandates, AT&T’s ambitions can only be beneficial for the expansion of fiber across the country. As the company moves forward with its plans, Comcast, Verizon and other telecoms will be forced to follow the lead or possibly counter with price cuts for existing cable service.